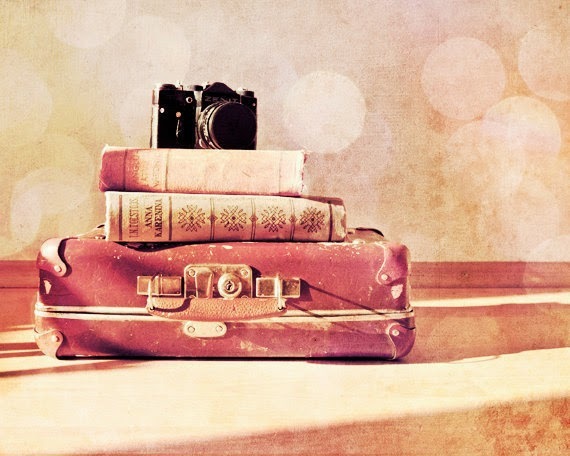 I'll be leaving in a few hour's time to Vietnam, Hanoi. Here's wishing everyone an advanced Happy New Year! Stay happy and healthy! Three weeks ago, we celebrated my goddaughter's 1st birthday. This is my favourite picture of my Godson Jase and my goddaughter Mia. Mia's dress reminded me of Minnie Mouse and Jase looked like the pleased older brother who is so proud of having such a cute little sister. Jase is always the loving elder brother to his sisters. 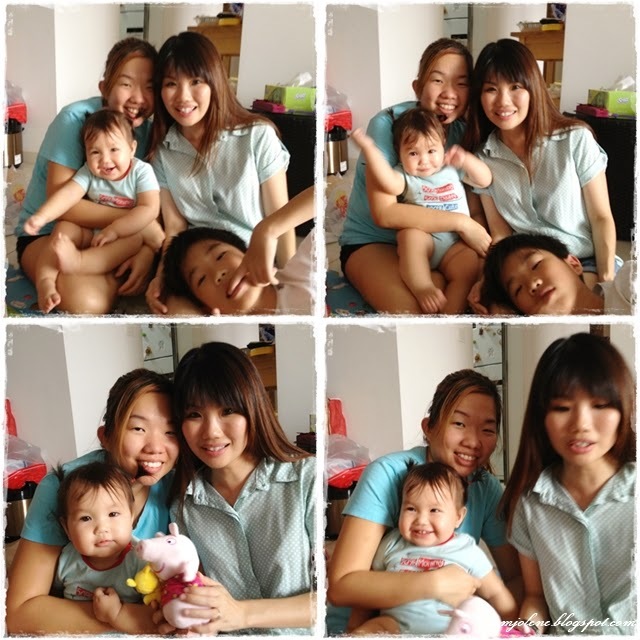 Both Charmaine and Mia are fortunate to have such a doting elder brother. For those who haven't been following my blog from a few years ago, Charmaine is my other goddaughter-- a beautiful little girl who had lost the battle to neuroblastoma cancer in 2011 after putting on a very good fight. 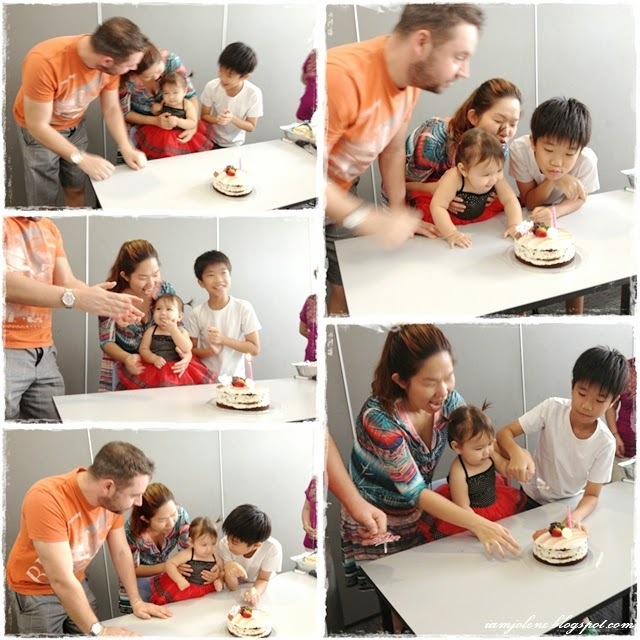 The birthday celebration was held in the function room. Lunch was a delicious mix of food prepared by Cyn's hubby P (Western food) and her dad (Asian food). What a yummy spread! Soon it was time to cut the cake. Mia could not wait to eat the cake and kept reaching out for it. Licking her fingers after committing a notti act of touching the cake. Cyn's immediate family. It sure looked like Jase was the birthday boy! Cyn's other family-- Godma Alexis and her family, Godma Jolene (with kh not around). What's a birthday party without any booze? Mia really starts young. LOL! FYI, the beer tab wasn't open of course! What did you think? 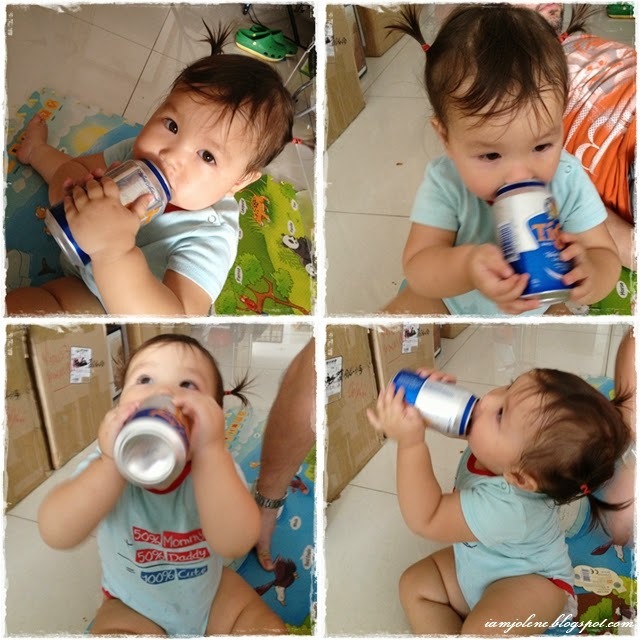 She still had lots of fun feeling the cold can to her lips and pretending to drink. Time to open and play with her presents! Kh arrived just in time to be my photographer. When I asked him to take a picture of me with Mia, he did this instead. I gave him a tsk coz Mia seldom keeps still for long and he had to waste time goofing around with the front and back camera of my phone. I like this picture of Godpa kh and godson though. Jase looked so innocent there! Fortunately, kh took such a cute shot of us to redeem himself. 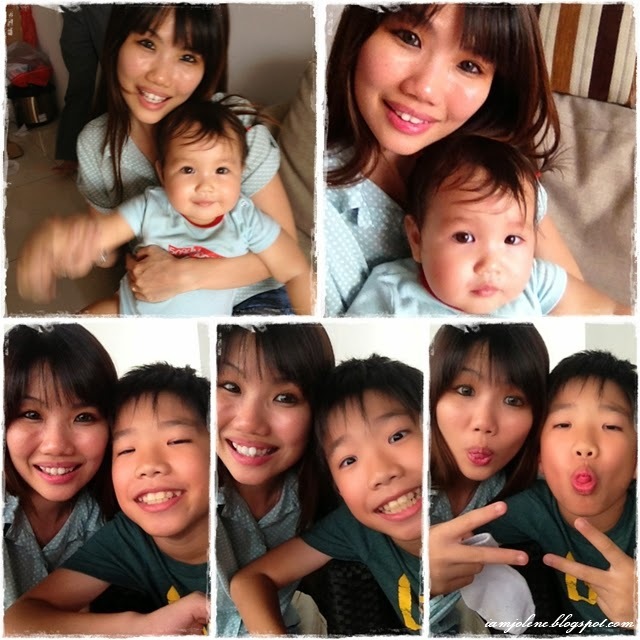 When it came to Jase, it was wefie time and we coordinated so well! Such telepathy! I told Jase to worm up a little so that he could be in the frame. Pardon P's leg in the frame. Perhaps a square collage would look great. Minnie Mouse themed presents for Mia. The plushie came with the bracelet/anklet. How cute! Thank you all for your comments on my past 2 posts. I've already replied to them so do check back on the posts. As mentioned before, it has been a really busy week prior to the festive season. There were so much to do for Christmas-- preparing the "hand-made" aspect of the Christmas gifts, trawling the malls to buy material gifts, meeting up with lovely friends. Replies would be slow and I hope to be able to reconnect with all of you soon. In the meantime, please keep the love coming in and have a splendid Christmas week ahead! 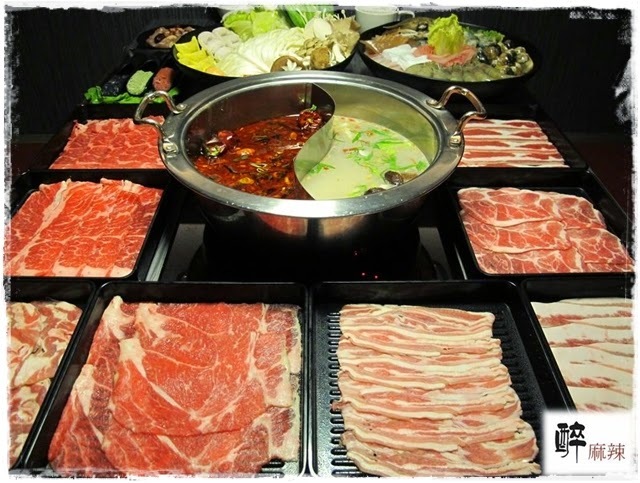 It was our 2nd day in Taipei and we were craving for mala hot pot. My friend recommended Zui Ma La (醉麻辣) as she happened to see another of her friend who was in Taipei the same time as us visiting that restaurant. The photos of the food looked absolutely divine and we were almost sold. 醉麻辣 so happened to be along the area of Sun Yat-sen Memorial Hall where we were as seen in the previous post. Hence we decided to look no further to settle our mala craving. It was an all-you-can-eat lunch/dinner style for a flat fee and gosh, there were lots of varieties to choose from! I got excited seeing all the meat choices. We had mala soup on one side and herbal soup on the other. We had trays and trays of sliced beef and pork as we kept requesting for top ups. Seafood like crabs and oysters were included on the menu. 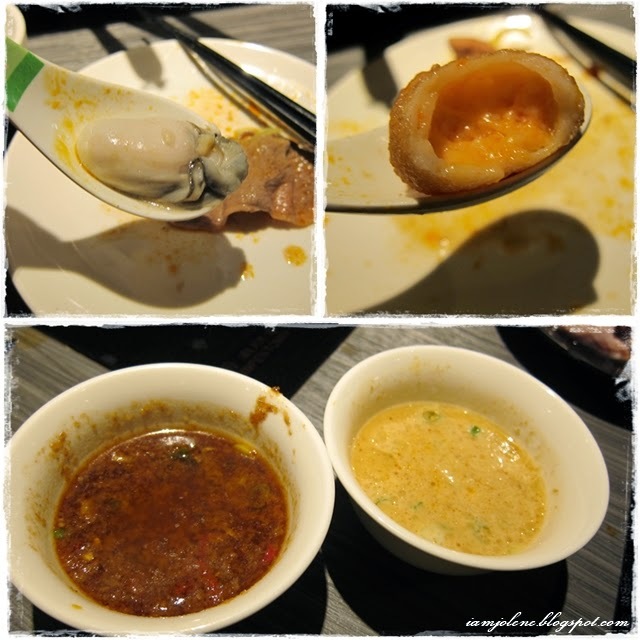 That was the first time I see fresh oysters as an ingredient for hot pot! They were so plump, succulent and fresh. We also had the usual vegetables and Yong Tau Foo. I wanted to drink the soup. I asked for a spoon. Waiter looked puzzled as to why I needed a spoon. I told him I wanted to use it to drink the soup. He gave a bright smile and came back with a kid's spoon. He apologized that they only had such spoon. You mean the Taiwanese don't use spoons to drink soup? Besides the sliced beef, my favourite for the day are the juicy oysters, the unique fish paste stuffed with cheese and the 2 tangy sauces which I dipped all my food into. These are the desserts included in the all-you-can-eat meal. Each person could choose 2 types of desserts. The desserts on the right of the collage was what we chose. Overall, we had a very satisfying dinner at Zui Ma La (醉麻辣). However after a while, everything started to taste bitter due to the effect of the mala affecting my tastebuds. I continued to cook the stuff in the herbal soup to neutralize the effect. As for the ambience, did I mention how the restaurant has a dim elegant look? For more pictures of how the place look like, you could visit this blog. After a satisfying dinner, we had a slow stroll along the whole of Zhong Xiao Dong Lu (忠孝東路) aka Zhong Xiao East Road. It is a really long road and throughout our walk, the hubby kept on singing the song "忠孝東路走九遍" by 動力火車. A direct English translation of that title would be "Zhong Xiao Dong Lu Walk Nine Times". Walking 9 times along such a long road would take hours... No wonder that's a sad song about a guy retracing his steps along that road with his lost love and wanting to leave the depressing Taipei. If you're interested in the song, here it is. These fruity ice lollies looked so inviting but we were too full to eat anything else. 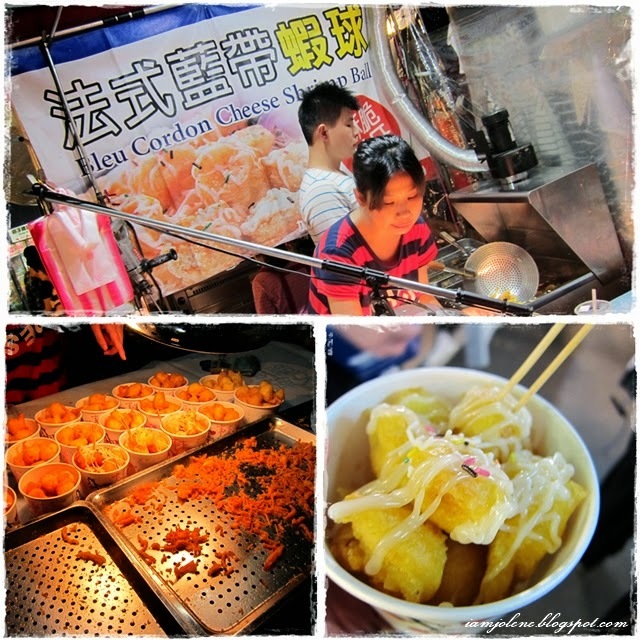 We were saving our stomachs for Raohe Night Market. Ice Monster is a famous shaved ice stall. 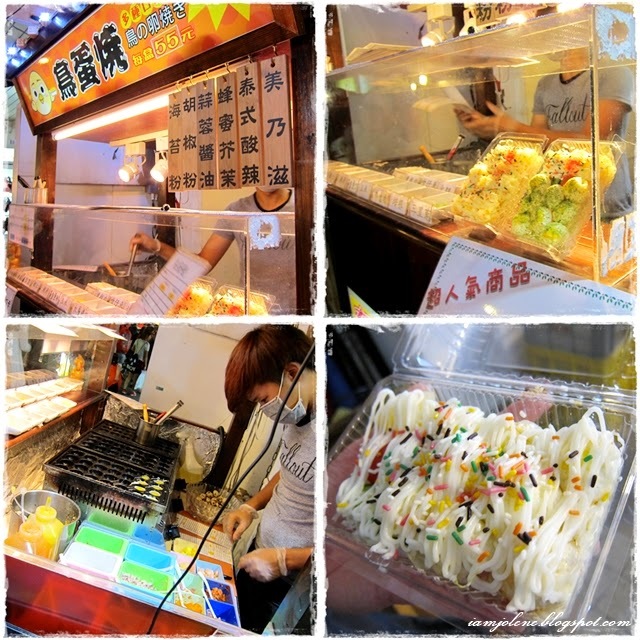 Again, it looked inviting but the traditional Taiwanese street snacks at Raohe would take precedence over this delicious-looking mango dessert. Besides, there is a branch in Singapore too. As Wufenpu (五分埔) is very near to Raohe Night Market, we made a stop there to do some shopping and hopefully burn off enough calories to make way for street food. Wufenpu is the largest garment wholesale market in Taipei selling clothing, bags, shoes, accessories and a lot more. I thought I would go crazy there but guess what? I only bought a top together with a knitted outerwear that night. This is highly abnormal! 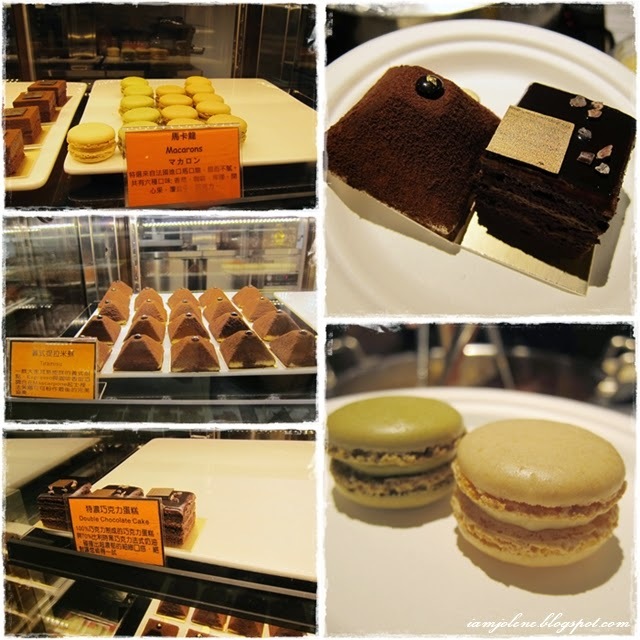 For more beautiful pictures of the buzzing stores at Wufenpu, head over to this blog. 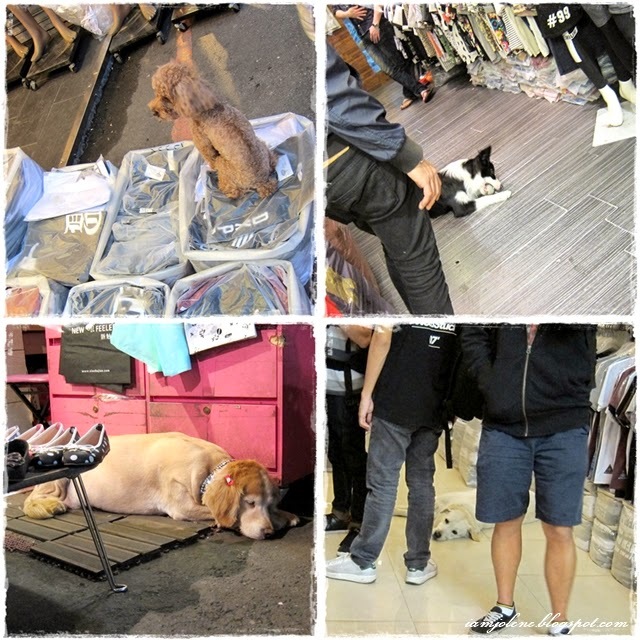 Taipei is a city that is dog-friendly. Super dog-friendly, in fact. Nobody seemed to mind that the store owner's poodle was having so much fun jumping from bags to bags of clothes. There were dogs in half of the shops there. I love this window coz I love classic Mickey and Minnie Mouse. 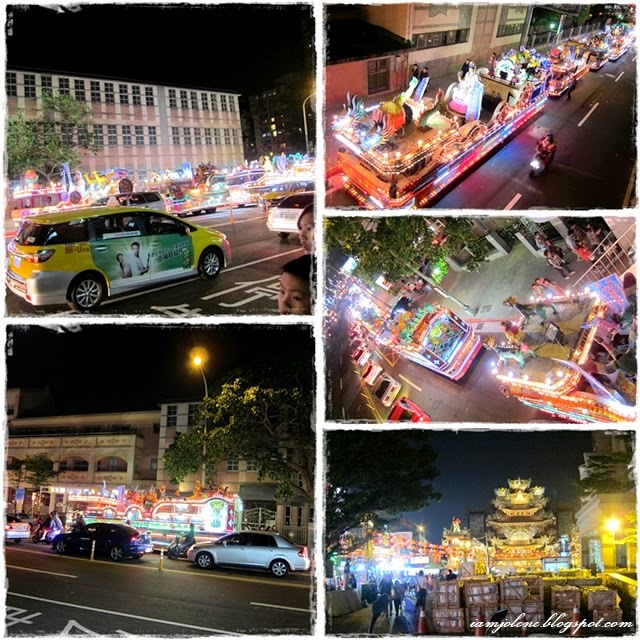 Along the way from Wufenpu to Raohe, we spotted a lighted parade. We weren't very sure what the procession was for but it sure looked religious as we saw floats of Goddess of Mercy and other Chinese gods and goddesses. The dazzling lights were beautiful though some of the faces of the characters on the floats looked kinda scary closed up. 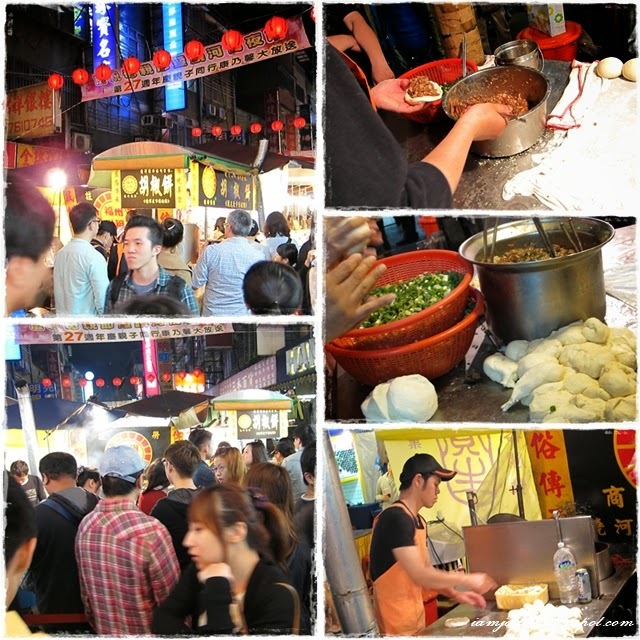 The procession led us right to one end of Raohe Street Night Market (饒河街觀光夜市). It was teeming with people of all shapes and sizes. Waft of fried food drifted into the night sky. It was really crowded. We slowly peeled off our jackets off as we walked because of the heat from the crowd and from the stalls. It was really easy to navigate in this night market for it consists of 2 long passageway for human traffic with food stalls in the middle. Lining both sides of the pedestrian walkways are rows of shops selling items ranging from food, bags, shoes, accessories and even pets! People usually walk down the street of Raohe and go one round to the other side and walk all the way back. 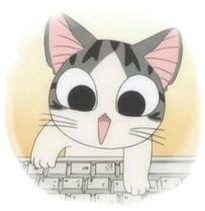 I've read so much about Naughty Cat and thought I could find cute accessories there but it was quite a disappointment. The bags were not my type and there was very strong chemical smell in the whole shop. Now, on to the real cats. I wasn't joking when I said they sold pets here. 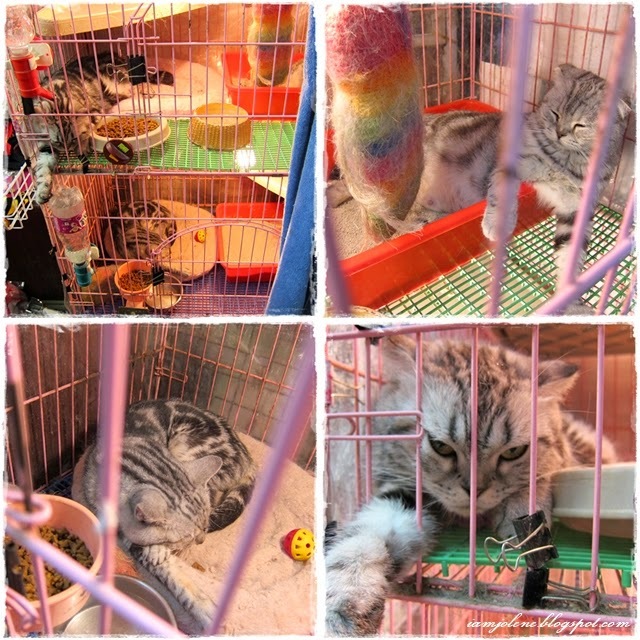 I love the stripes and swirls on their bodies and thought these cats were quite pretty until I saw that grumpy face. Our first food in Raohe are these quail eggs drizzled in special mayonnaise and topped with rainbow sprinkles. It was such a weird combination. I usually hate it when salty stuff turns out sweet but this snack is pretty awesome. The greedy hubz simply wanted to try everything he fancied even though we were still not hungry. When he saw the banner of "Bleu Cordon Cheese...", he simply had to try it thinking it was either Cordon bleu or blue cheese. It was a disappointment though. We tasted no cheese and no shrimp, just loads of fried batter taste. Every Taipei travel website and personal travel blog raves about this Black Pepper Bun (福州世祖胡椒饼) and promises that the long queue is worth it. Whenever something is highly-raved about, there is a danger of it raising my expectation so much that I would get disappointed. Unfortunately, it is the same for these buns. 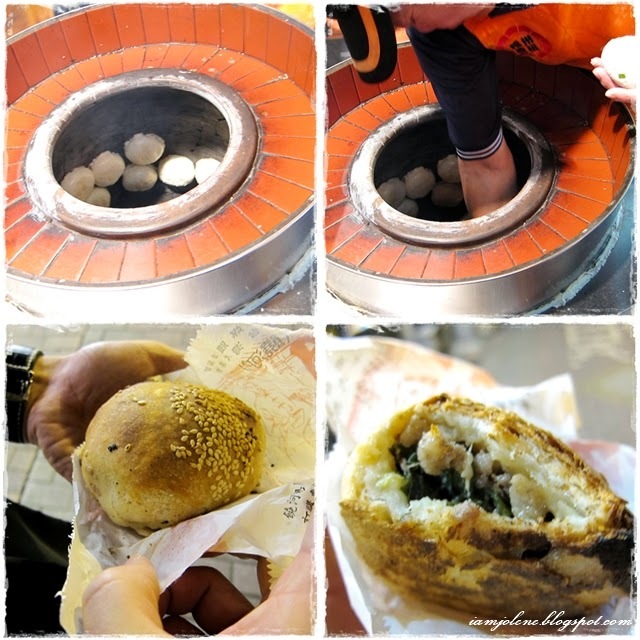 The buns are freshly baked in a traditional charcoal oven on the spot. Instead of the usual steamed Chinese buns, these Black Pepper Buns are light charred on the outside and piping hot on the inside. Probably we were too full and that equals to diminishing marginal utility. Even though we were full, we forced ourselves to eat a bun on the spot coz it would taste better when eaten freshly cooked. I tasted fine though I did not think it was something to be raved about so much. In the end, the other bun which we brought home was eaten ice cold by the time I was hungry late at night. We reached the other end of Raohe and decided to call it a day instead of turning one round and walking down the other side. This sign says "Thank you. See you again." At last, human selfie shots! This entrance seemed to be a gathering point for groups of tourists amongst whom were a group of Singaporeans with that familiar Singlish and accent. There was a pretty magnificent temple where we stood called the Songshan Ciyou Temple (松山慈祐宮). It was also where the lighted procession stopped. Thank you all for your comments on my previous posts. It has been a really busy week prior to the festive season. On top of preparing for Christmas, I'm also preparing for an upcoming trip to Vietnam, Hanoi. I'm really excited about it as I managed to convince the hubz to go a S.E.A city for cultural tourism instead of wasting our leave lazing at some beach resort like a mass tourist. Replies would be slow and I hope to be able to reconnect with all of you soon. In the meantime, please keep the love coming in and have a splendid week ahead!